Have you ever heard the saying “where there is a will there is a way”. What happens when there is no will? Willpower is both one of our ultimate strengths and one of our ultimate weaknesses. Willpower separates us as humans from the animal world because we use it to avoid acting on our primal urges every day. Recently I read “The Willpower Instinct” by Kelly McGonigal. One of the highlights from the book was a scientific study that was carried out on 4 year olds. In the experiment they tested the ability of the children to resist candy treats. The outcome of the study was fascinating. It was determined that there is a high correlation between the 4 year olds that could resist the candy and ultimately their success later in life. The children that could resist eating the candy demonstrated higher grades, more successful careers and fulfilling relationships. It is amazing to know that willpower is a better predictor of success than upbringing, opportunity and genetic advantage. But it does make sense, I’m sure everyone has had an experience where they thought that they could have achieved something special if they had just had the willpower to see their training, practice and hard work through instead of giving into temptation. 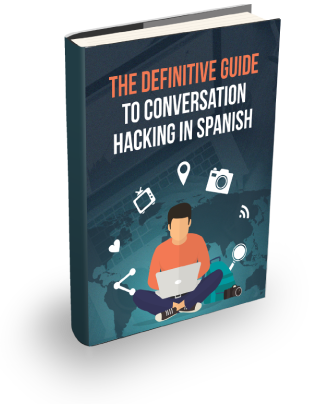 In this post I’m going to cover some of the ideas discussed in the book, my interpretations of how they fit together and how you can apply them to help achieve your goals for learning Spanish. If you can master your own willpower, you can ultimately apply the skill to any endeavor you wish to pursue. Imagine you have had a long day; work has been overwhelming; maybe you have had an argument with someone that stressed you out; you have eaten badly all week; you haven’t slept very well (maybe only 5 hours a night); and you haven’t found time to do any exercise. With all of that going on, now it’s the time to sit down and find the willpower to do an hours practice on your Spanish homework – easy right? Forget it! It’s much easier to roll up under a blanket with a bowl of ice cream and your favourite movie. The idea here is that you haven’t managed the relationship will your present self. The first step towards conquering your own willpower is to better manage your present self. Take an opposing view from earlier and imagine you have slept well, eaten right, exercised and delivered at work. Would it now be much easier to summon the power to do an hours worth of homework? In the book, McGonigal discusses that exercise is an almost miracle cure for low willpower. If you feel you are suffering from low willpower then simply go out and do some exercise. Ironically, it does take willpower to get out and do the exercise but once it’s done, you will be able to tap into a greater reserve later. If you are trying to work out how much exercise is enough, it comes down to how much are you willing to do. In actual fact, it’s the more the better. But, it is possible to have impact on your willpower reserve with as little as a five minute walk around the block. Another willpower tip from the book for managing the relationship with your present self is the use of meditation. McGonigal discusses that the pre-frontal cortex (located at front part of your brain) is responsible for your ability to plan for the future and be self aware. As such, the pre-frontal cortex is the source of your decision making willpower. If you want increase this area of the brain and your willpower reserve, you should consider getting into the habit of regular mediation. Meditation in itself is a willpower challenge and simply doing it helps practice your willpower muscle. Research has shown that regular meditation actually increases the grey matter in the pre-frontal cortex which, as a result, increases your ability to have willpower on tap. The book introduces the concept that there are three types of willpower: I won’t power, I will power and I want power. Each of these willpower challenges requires a different approach. For example ‘I won’t power’ is about resisting the cheesecake that you desperately want to eat, or avoiding the next cigarette that you desperately want to smoke. Conversely, ‘I will power’ is about forcing yourself to do something that you have a tendency to procrastinate such as the next hour of Spanish homework or your planned exercise session. ‘I want power’ is about knowing what you truly want in order to help you steer you through your ‘I won’t power’ and ‘I will power’ challenges. For example, if your goal is to be conversational in Spanish, then your ‘I want power’ is knowing that deep down this is what you truly want. When your want of being conversational in Spanish is clear then you can better apply your ‘I won’t power’ to avoid procrastination and distraction and your ‘I will power’ of sitting down and memorising a new set of vocabulary. Once you have an understanding of what you truly want you can start to develop a better relationship with your future self. Similar to the previous section on the relationship with your present self, if you have a poor relationship with your future self you will struggle to get the most out of your own willpower reserve. In the chapter on the future self, McGonigal introduces an idea which is my second favourite from the book: future discounting. Future discounting is a process where you discount the result of what you actually want in the future so that the present temptation is far more appealing in comparison. For example, imagine you are trying to lose weight. The future result of a healthy, skinny body is exactly what you desire and what would make you happy, excited and proud to achieve. Yet in the moment when you see the chocolate cheesecake you think to yourself ‘that looks so good, being skinny is okay, but not as good as the chocolate cheesecake’. When you have a poor relationship with your future self, which could be yourself 1 month, 6 months or 2 years from now, you may treat that person as you would a stranger. It is an unusual idea but the studies in the book demonstrate that you could treat your future self just as harshly as would stranger when dishing out painful tasks or challenges. Another example is your future goal of learning Spanish. Even if you have decided that fluency in Spanish is what you truly want, the present temptation to procrastinate could be more appealing. How often do you decide that putting off your homework and surfing Facebook is far more appealing than sitting down and memorising some irregular verb tables? 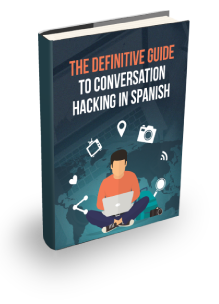 If you actually decide to practice now, then your future self will have the ability to converse in Spanish – a fantastic result and one that you really desire. In order to make this decision you need to strengthen your relationship with your future self or discount the desires you have in the present moment. McGonigal suggests you use a ten minute window to help negotiate your desires in the moment with your wants or desires for the future. Rather than say ‘I want the cheesecake and I want it now’, say to yourself ‘if I still want the cheesecake in 10 minutes then I can have it’. Then wait 10 minutes. If at the end of 10 minutes you still really want it then give yourself permission to eat it. Similarly, if you really don’t feel like doing you Spanish homework and want to procrastinate and put it off then use the 10 minute rule to say ‘I will just do 10 minutes and at the end of the 10 minutes if I don’t feel like continuing I will stop.’ Again do the work for 10 minutes and if you don’t want to continue at the end of the 10 minutes then give yourself permission to stop. Hopefully, what you may find is that you actually want to continue when you get there. The power of the 10 minute rule is that it helps combat future discounting by taking your requirement for instant gratification and moving it into the future. When you move your requirement for instant gratification into the future you give your future goal a fighting chance against the powerful desire for instant gratification. Another tactic for combating future discounting is by connecting with your future self. When you become more familiar with your future self you will be less prone to discounting the result that you future self stands to gain if you put in the work now. If you wanted to connect with your future self you could write a letter to yourself. I suggest you write a letter to yourself one month from now and one year from now – think about everything you want achieve between now and then and what you are prepared to give up and sacrifice to help achieve the result for your future self. It is a great quote and one of my favourites. If you are surrounded by people that give up on their goals, challenges and dreams easily and readily then you will likely fall victim to this same fate. It is not a nice notion to ditch your friends, colleagues or family and the book wasn’t suggesting that you do this and neither do I. Instead, just beware that the relationships around you affect your willpower challenges. If you tell a good friend that you want to learn Spanish and they say “you will never get there, I tried once and failed and you will too, let’s go get a beer,” then this is not the person you want to surround yourself with. Rather than dump them and say, you are now out of my life for good. Simply look for people that are working on their own willpower challenges. Find someone that is trying to achieve something big in their life. If you are trying to learn Spanish and have set yourself the goal of practicing everyday then you might be able to find someone who is also trying to learn Spanish or maybe another language. If you can’t find someone learning a language then see if you can find a person that is trying to lose weight. You can encourage each other to do what you have to do every day, be accountable and build off each others willpower. See if you can find more people to join the group and bounce off each other’s energy. When they aren’t feeling up the task use your own willpower strength to help encourage them “I have done two hours of study today, you can do that hour of exercise or skip that cheesecake, come on let’s go”. Conversely when you aren’t feeling up to the task, you will be able to rely on them to help boost your challenges. http://macfreedom.com/ – This piece of software costs $10 but it can be used to shut off the internet from you computer if you find the temptation of surfing the web too compelling when you are trying to be productive. You can lock in any time from 15 minutes to 8 hours. Also it will pause the clock if the computer goes to sleep so you won’t be able to just walk away from your computer and come back when the time is over, you will have to do the work to unlock the net again. http://selfcontrol/ – Self control is similar to freedom but it lets you customise what can access. For example, you may need a certain website to do your work. http://anti-social.cc/ – Anti-social does as the name suggests. It stops you from accessing the most popular social media platforms. This is perfect if you are a self confessed social media addict. http://www.stickk.com/ – Of course, stickk is one of my favourite accountability tools, I have written about it in a previous post. It is based on the premise that we are more motivated by what we stand to lose than what we stand to gain. It asks for you to commit a certain amount of money for a goal you are trying to achieve. If at the end of the allocated time period you haven’t achieved your goal you stand to lose the money you have pledged. It can be a very strong motivator. If you ever find yourself struggling with willpower and I highly recommended Kelly McGonigal’s book. Learning Spanish is a goal that requires a lot of delayed gratification. It requires study when you aren’t feeling like it and it can take a lot of hours of practice before you get to a level where you are really satisfied. Therefore, you will undoubtedly face willpower challenges along the way. If there is anything to take away from the book, it’s that self awareness is the starting point. It is knowing what’s going on with your relationship with yourself, future self and others. It’s knowing that if you feel your willpower diminishing you can combat it with a number techniques. Can you catch the moment when your willpower starts to fade? And if you could identify that moment could you do something about it? So what’s your best tip for improving your willpower?